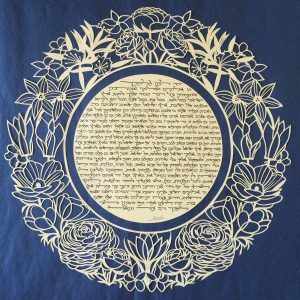 The Song of Torah papercut makes the perfect gift for a teacher or chazzan. 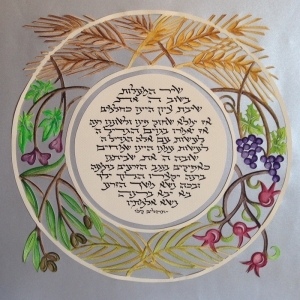 This design is available to be customized with a quote or blessing and will be mounted on a background color of your choice. 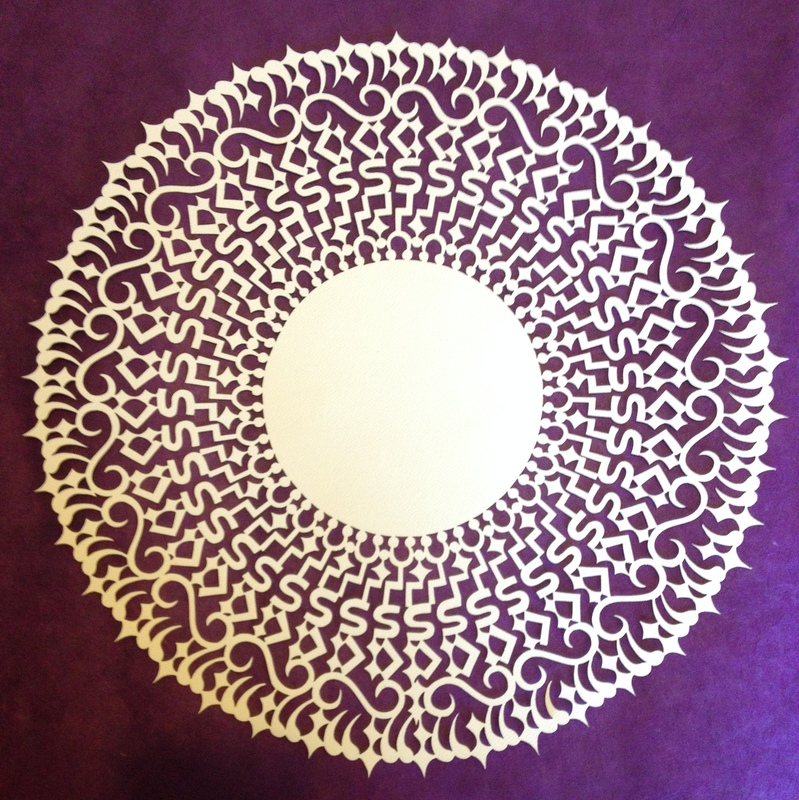 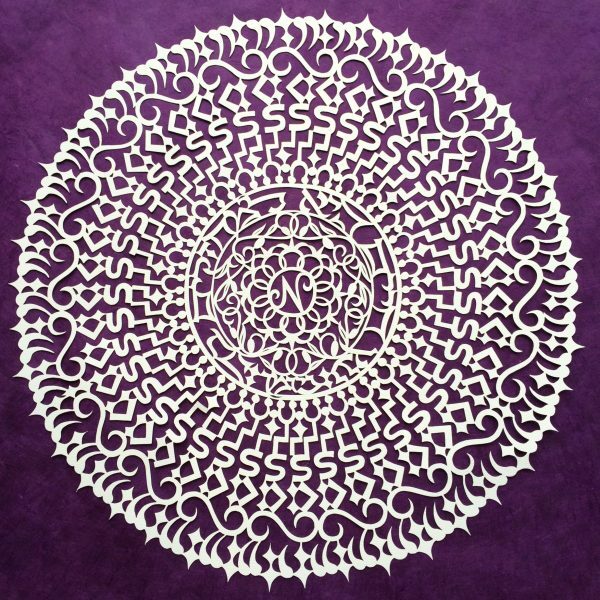 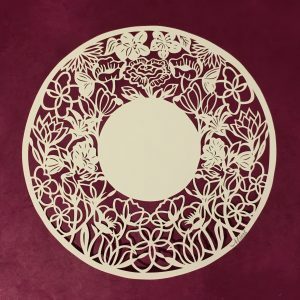 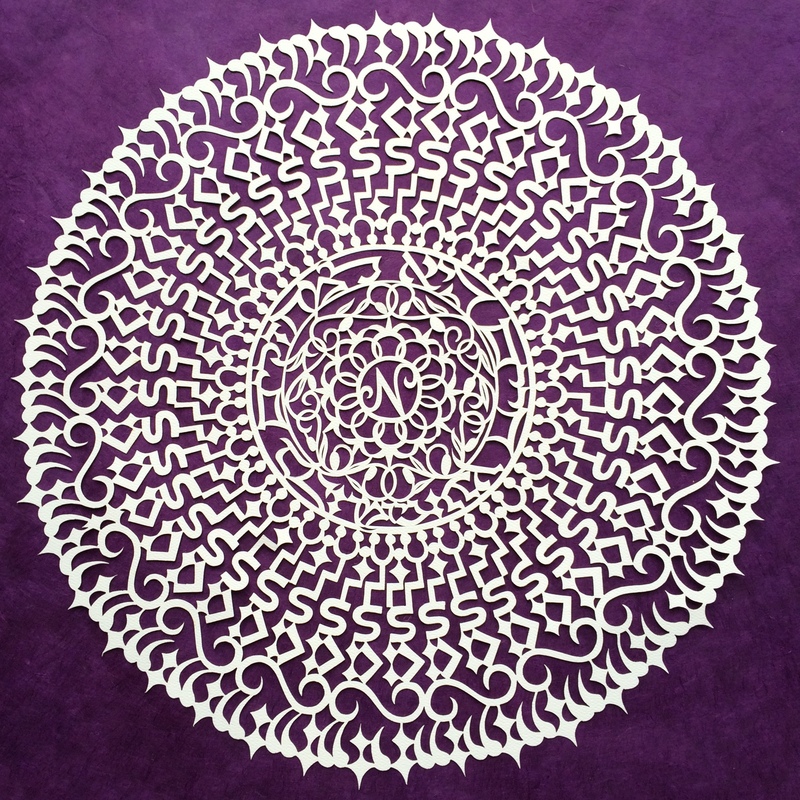 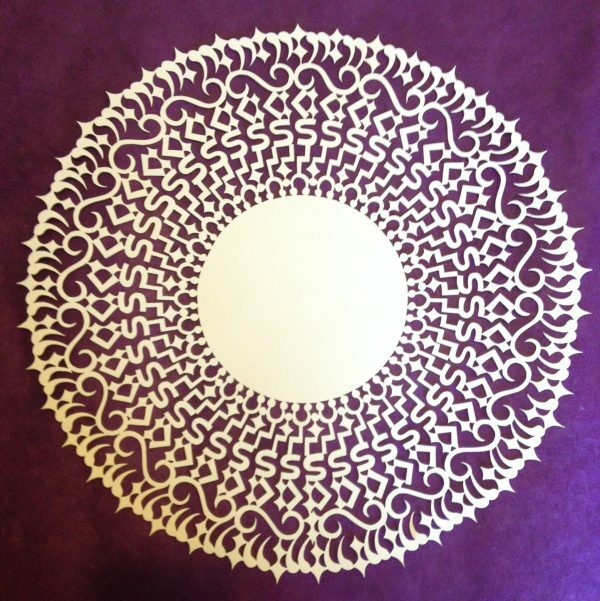 This papercut design is inspired by the shapes of the Te’amim (cantillation notes) of the Torah. 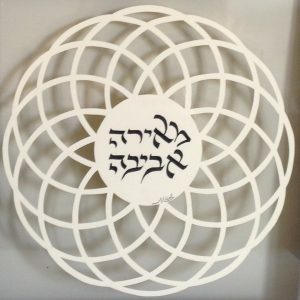 The circular design symbolizes an ongoing commitment to Torah learning and teaching. The quote reads: Ashira Lashem b’chayai, azamra l’elokai b’odi, yirav alav sichi, Anochi esmach bashem ~ I will sing to the God as long as I live; I will sing praise to my God while I have any being. 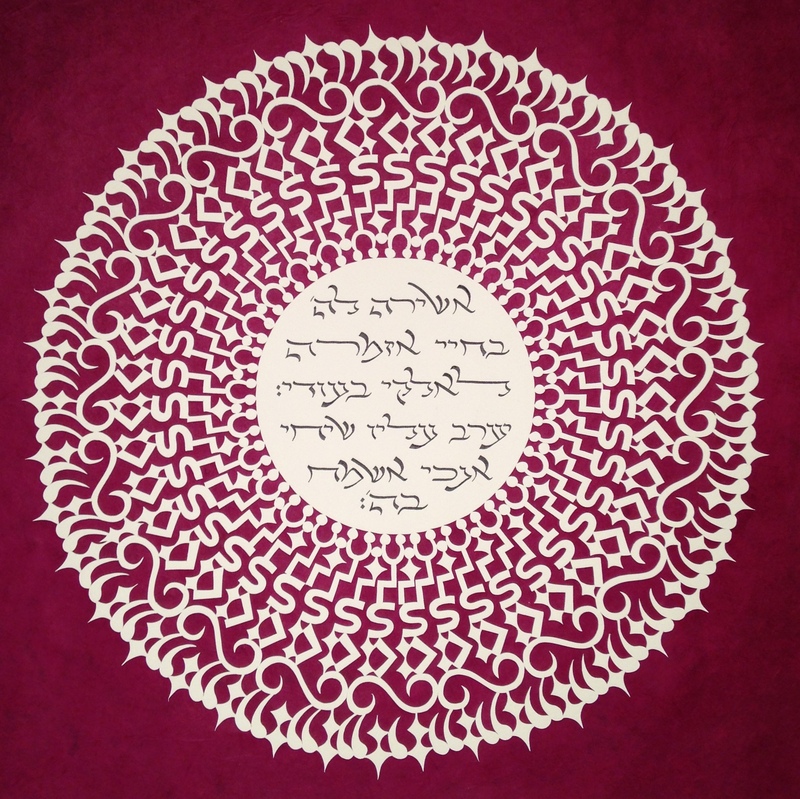 Let my words be sweet to Him; as for me, I will rejoice in God (Tehilim 104:33).